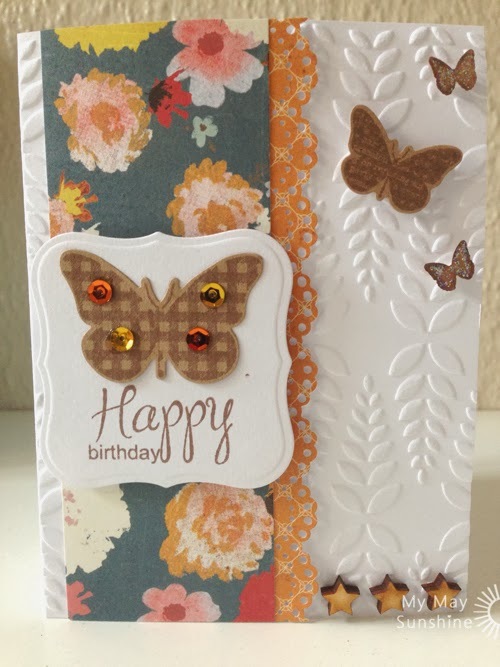 I quite often use card sketches to help me make a card but have never used a colour challenge, so this week I decided to use the colour inspiration from Clearly Besotted. Part of the challenge you have to use at least one of their products. 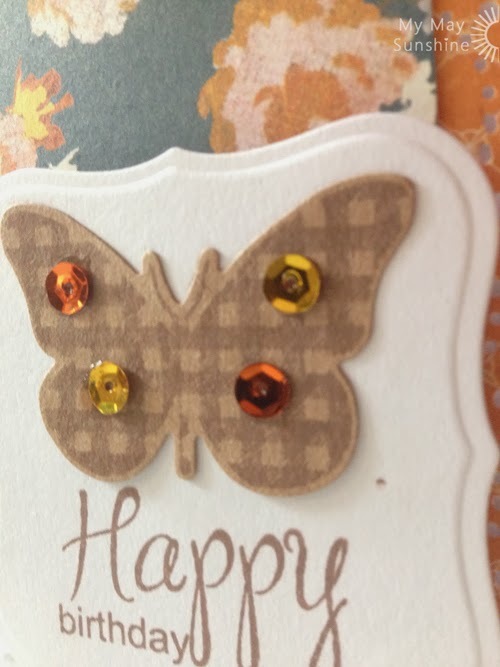 I went with the Butterfly wishes additions and stamped them onto kraft card. 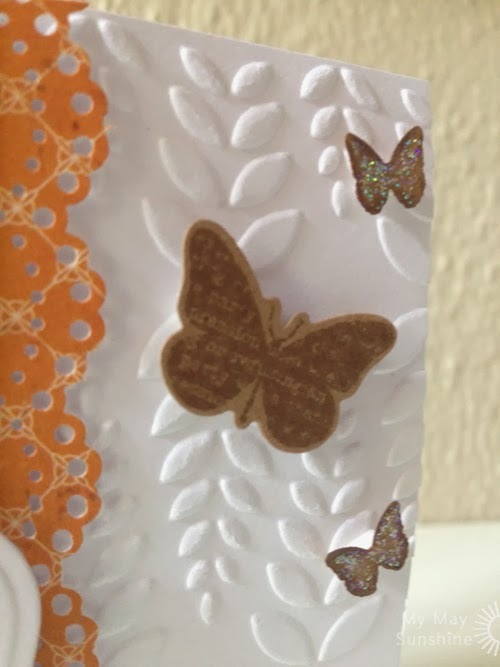 I decided to use the embossing folder, Sizzix leaves 3, that I won recently as I thought it went well with the theme and adds some texture to the background. When it came to the colours, I found it slightly difficult as most of my patterned paper is very bright and colourful but managed to find some in the Crate Paper Story Teller paper pad. Stamps – Clearly Besotted Butterfly wishes additions and Amy R It’s your birthday | Paper – Crate Paper Story Teller | Border punch – Martha Stewart doily lace | Clearly Besotted Butterfly wishes dies | Martha Stewart 3 in 1 butterfly punch | Spellbinders Nestabilities label one | Wooden stars – Ebay | Embossing folder – Sizzix leaves 3 | Sequins – Hobbycraft | Stickles star dust. This is the colour palette. I had great fun with card and hope to do more of these challenges in the future.